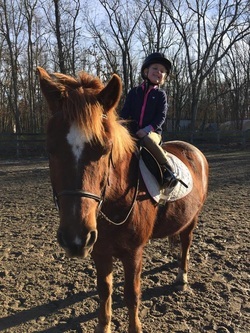 Beginner lessons focus on safety, fun and learning good horsemanship. We teach even our smallest students how to groom and tack up. We believe in learning by doing. Our riders learn to be all around horsemen, and are taught from the ground up how to groom, saddle and bridle the horses. Once in the saddle we focus on safe riding which includes first learning to stop and steer the horse. Our lessons are fun and educational, and we pride ourselves on giving each student our all. Dressage is a french word meaning training. 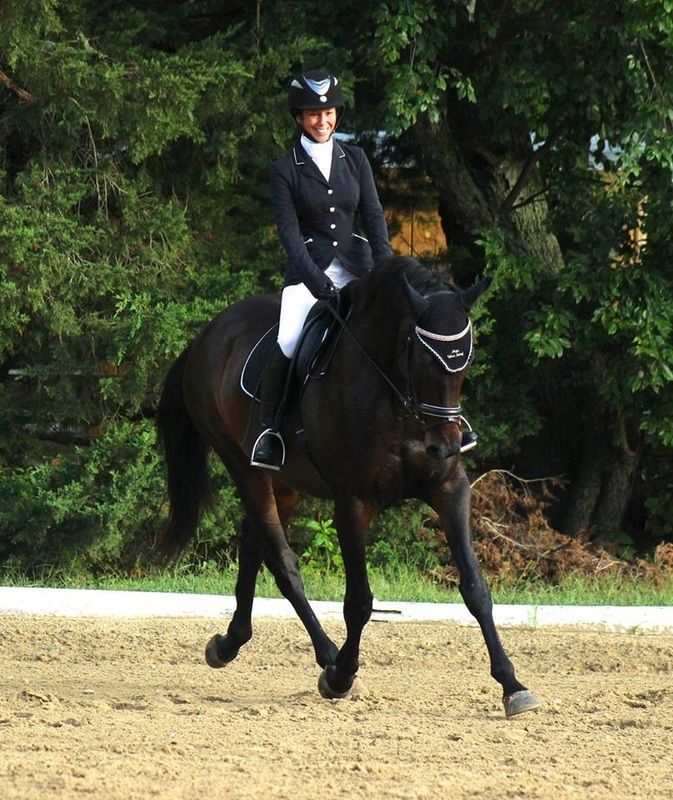 For our students who chose to keep four feet on the ground we offer lessons in dressage. We teach about moving forward and learning the basics of bending and balancing the horse through a series of movements through out the arena. 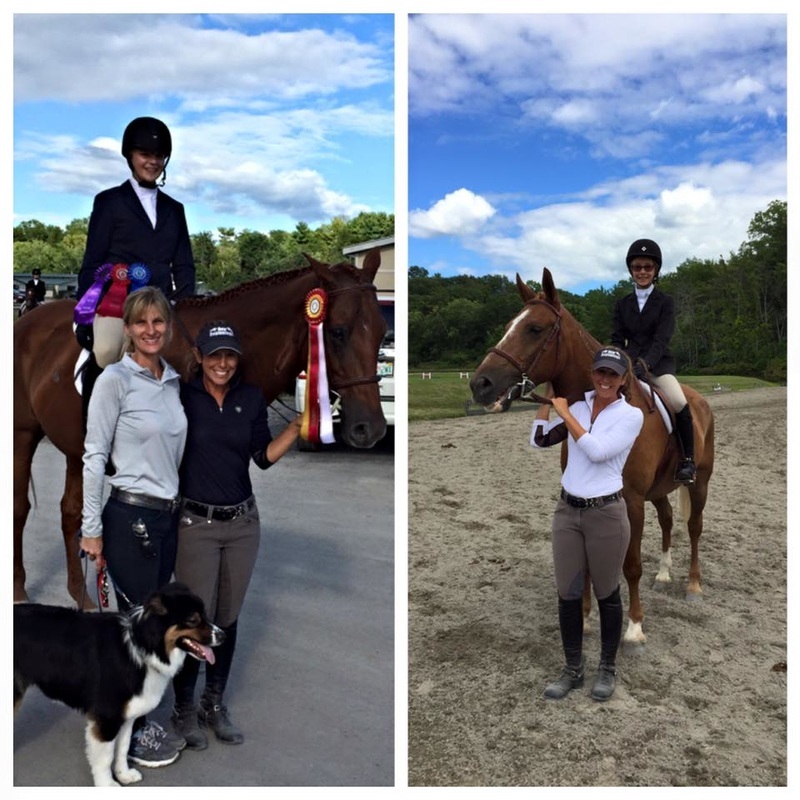 Our dressage students have the opportunity to show at local and rated dressage shows through out the season. We offer lessons from beginner to advanced dressage students. 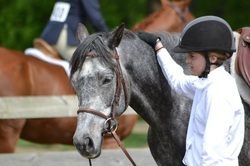 Hunter and Jumper lessons are taught with the focus on safety and proper equitation. We strive to teach our students the importance of position, and the effect it has on the manner in which the horse is going. We teach fun, encouraging lessons over individual jumps and courses to prepare our students for the show ring or just to enjoy the sport. 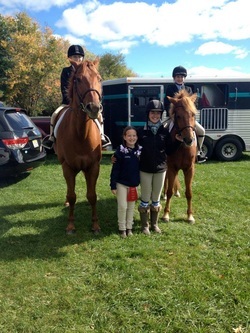 For our students who wish to show we attend local and rated horse shows through out the year. What ever your horse riding goals are we are here to help our riders achieve them. Serenity at Last Farm attends local and rated horse shows throughout the season. We believe in putting the fun first, ribbons second. Our philosophy is to enjoy what you are doing and let your excellence shine through. Happy riders make for happy horses, and through this we achieve succcess. 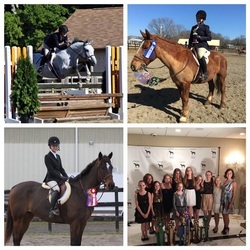 ​Top left Michelle Horgan on her OTTB" Courage to Be", Top Right, Rachel Funk on Serenity's Spill The Beans, bottom left Katie Kalfayan on Serenity's "Cattail Creek" Bottom right some of our fabulous riders at an awards banquet.